7 must have cordless drill features are important to any homeowner, handyman and contractor wanting to get the biggest bang for their buck. I believe we will all agree it would simplify the whole buying decision process if cordless drills all had identical features. The fact remains. For those of us that like to shop around for the best deals, there are several value added features from which we will choose. Ranging from the inexpensive cheaply made homeowner models, too the very expensive professional quality heavy-duty contractor grade power tools, the question remain, how do we buy the best cordless drill? Follow along as we discuss the different types of batteries, popular voltage and other things you should know before buying a cordless drill. 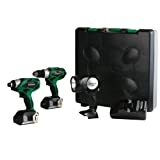 After all discovering what features are really worth what they cost, which cordless tools work best, and how to get the best deal shopping online at Amazon.com. The world’s most trusted, online retailer for value minded shoppers looking for the best deals online. The best Rechargeable Cordless Tool Battery is light weight, provides plenty of power and is easy to change. I believe it safe to say, we all do understand that cordless tools get their power from rechargeable batteries. The thing many folks get a bit confused about is the differences in lithium ion batteries and the ole NiCad or other type power supply. For instance, the new lithium Ion batteries such as those used in the Hitachi KC18DHL 18-volt 3 cordless tool Kit, FYI, is an amazon best seller. 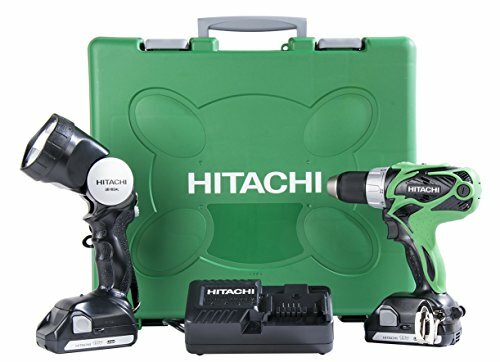 The Hitachi KC18DHL includes two lithium ion 18-Volt super charged power paks and quick charger, complimenting 3 highly useful cordless power tools. Making the kit a great buy for anyone that demands the best tools their hard earned dollar will buy. These lithium ion power packs are design too make changing batteries easy. 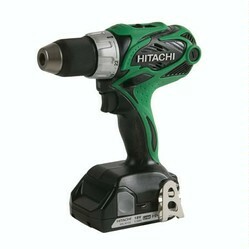 The battery simply and securely slides into the bottom of the drill handle. The non-post style battery does not slide into the cordless tool’s handle allowing for a narrower handle grip, this makes the handle easy for someone with small hands comfortably grasp and control the powerful drill equipped with a keyless half-inch chuck. Another important benefit, non-post style lithium ion batteries weigh 50% less than the old NiCad post type batteries, retain full power longer thereby maintaining the power to drive more screws on a single charge. 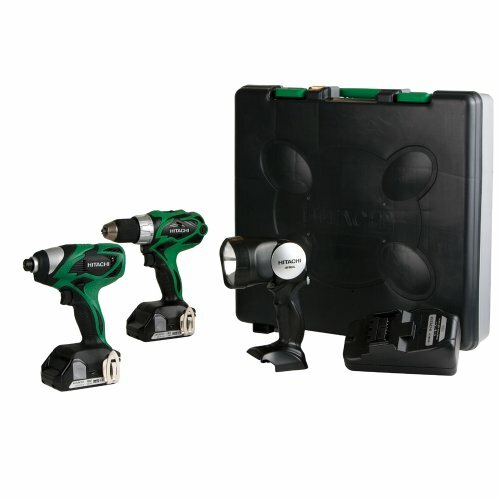 The compact lithium ion battery also makes the Hitachi 18-volt cordless drill, impact driver and adjustable head `flashlight in this kit. The best all-around deal on the most commonly asked for cordless tools a great gift idea and tool bargain for any homeowner, handyman or professional carpenter, plumber or electrician that appreciates working with long lasting professional quality cordless power tools. 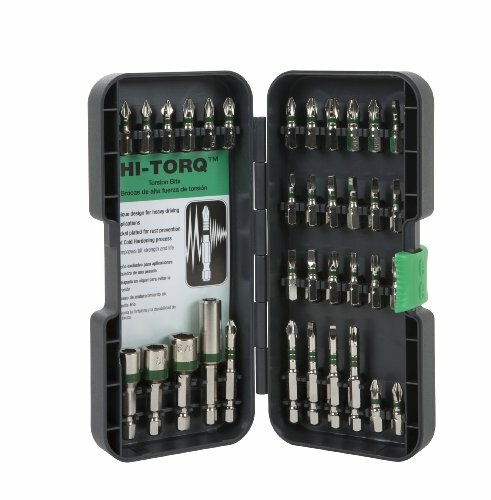 Keyless Chuck makes changing drill bits, Phillips screw driver bits and paint mixing paddles quick and easy saving time otherwise spent looking for a lost drill chuck key. 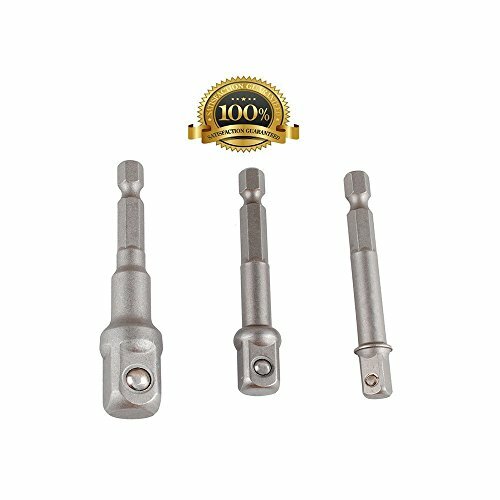 Adjustable Clutch with 21 varied torque settings for driving fasteners, and drill mode providing full power for drilling holes in any material. 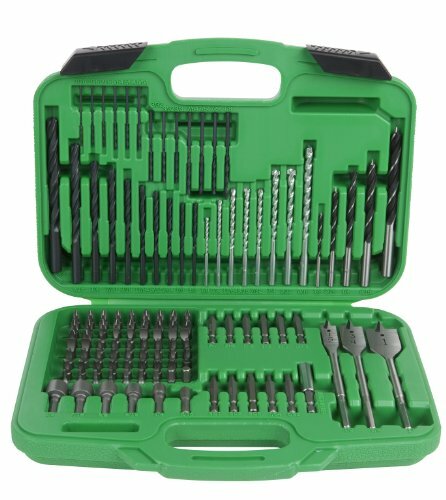 Makes accurately countersinking drywall screws without damaging drywall and other wood or painted finishes easier, and with the twist of a wrist, make the necessary adjustment to drive a deck screw, kitchen hardware fastener or drill a hole using the same professional quality cordless drill. Variable Speed Trigger, just like the gas pedal on a car helps control the speed and power to climb a hill or pass a slower vehicle. Gently squeezing the variable speed trigger makes controlling a drill easy. After all starting a drywall screw or lag bolt slowly makes it less likely too mess something up or make a mistake. LED job light makes working in dimly lighted areas simpler, no need to hold a flashlight in one hand, and drill in the other. Squeezing the trigger turns on both the LED light lighting up the space directly in front of the bit, and drill motor all at the same time. Making hanging that closet rod bracket, or replacing a bathroom towel holder easier to see in dimly lit places. Quick Charger makes it easy to always have a freshly charged battery for a big job, building a deck or privacy fence, replacing cabinet doors and hardware, etc. 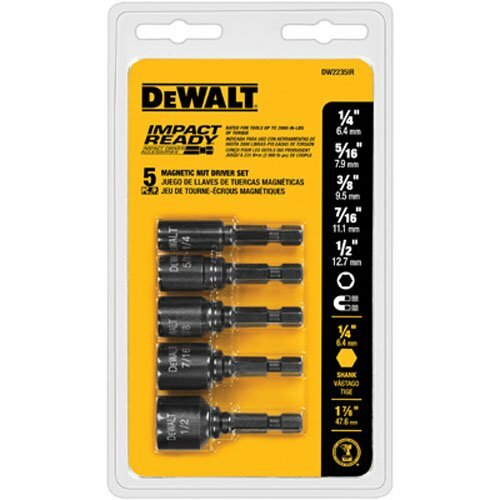 Quick Change Phillips Drill Bit, changing that ugly light switch cover plate, driving a drywall screw or changing the drawer pulls on the kitchen cabinets, need I say more? Carrying Case helps protect and keep everything in one place making organizing everything much simpler, no more looking for that extra battery, quick charger, or driver bits keep them all in the same safe and convenient storage / carrying case. Keeping gold, silver and diamond jewelry clean doesn't have to be messy, time consuming or expensive. Learn the best way to clean and protect your precious jewelry.